Notes: <1873 - 1960. 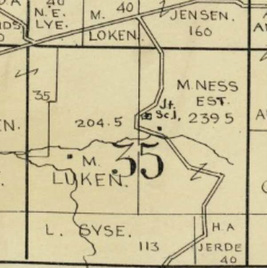 School District #1, the Tyvand School, was located in Section 35, Town of Perry on land owned by Isaac and Kjestine Kittleson. The school served Kittleson Valley, the highlands to its south and the eastern end of Lee Valley. 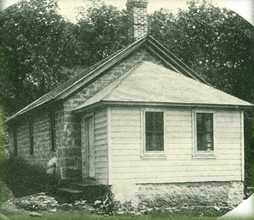 The first school was built of rock before 1873 and in 1923-24 a new frame structure was built. The school was likely named after the Jens Peterson Tyvand family who lived next door to the school. The school closed at the end of the school year in 1960. Lavon Paulson was the teacher of the 32 students who attended the school, 10 of which were first graders. 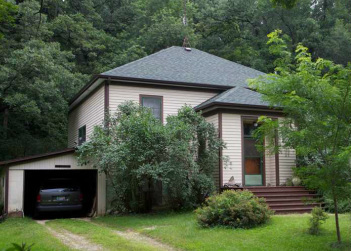 The building is now a home.